Welcome to the Club of Amsterdam Journal. The Future Now Show: Do Banks have a Future? yOur Devices Know More Than We Think! When people think about their information and privacy few stray beyond eMail, TxT, IM, Documents, Social Networks, Browser History, Diary Entries, Address Book, who they call and who calls them. However, these are but the tip of a very big and fast growing iceberg! Our modern mobile phones and tablets contain a vast, and fast growing, array of sensors and network types that generate more information than we might imagine. Embedded sensors routinely include GPS, Compass, Proximity, Accelerometer, Gyroscope, Thermometer, Hygrometer, Barometer, Light Level, Microphone/s and Camera/s. And these immediately give details of our location, movements - speed, direction, altitude and orientation, plus of course, vibration and other movement patterns. As a result we see a new means of mapping our travels and activities in a new 'N - Dimensional Space' without recourse to any physical visualisation or reference to our 3D physical surroundings. Mapping a journey by vibration, G-force, acceleration and deceleration gives an entirely new, and very informative, picture. Then of course our microphone/s and camera/s also gather unique acoustic and visual data as we move location-to-location and thereby add more contextual data. We have created a 'forensic heaven' that is about to be amplified by chemical sensors in the fingerprint security pad and touch screen to be followed by others on the device body. So, what might we know and what might we be able to deduce from all this disparate data? I'd say with far greater confidence we can tell who you are, what you are, what you do, have done, might do, where you have been when and how, and where you are likely to go and what you are likely to participate in next. In short, we are carrying our own behavioural analysis system and toolkit in our pocket and hands. Your exact location and mode of transport are easy to determine as is the general state of your health. It is even easy to ascertain the types of food, when and where, you eat and with whom. Your friends and colleagues are so easy to identify too! How? Apart from all the data you generate and carry, WiFi, BlueTooth, and to a lesser extent 3/4G, are connecting and colliding all the time even if you do not decide to connect, but when you do it is a confirmation of location and relationships. Who and what you connect too and for how long and the file transfers says an awful lot about you and them. Where does this stop and can we control it? It doesn't, and we can't! The bigger ques-tions are; how can society profit from all this? In short; health, safety, security, efficiency, ecological savings, social cohesion. There is great benefit to be had on all sides from the coalescence of information: it makes us more identifiable than ever before; it gives us continuous health monitoring for free; and real time feedback on our behaviours and that of others to achieve more in less time whilst reducing a wide range of risks. 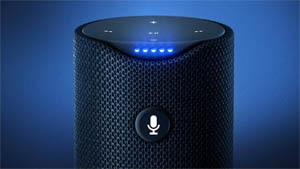 Of course the IoT (Internet of Things) and AI (Artificial Intelligence) add even more dimensions, and the Dark Side are already pondering how they might exploit it, whilst regulators and governments have yet to wake to this new reality. In my view, the more degrees of freedom and variation we create the more secure we become as it all amplifies the entropy of this space makes successful attacks less likely. Look at it this way; Passwords and PIN is relatively easy to crack. Additional biofactors make it exponentially more difficult very fast. So Two Factor Authentication by keyboard and fingerprint is going to drift up to Ten Factors and beyond. All counter intuitive, perhaps, in terms of security. In terms of how all that data is used, well, that's perhaps a bigger matter and one that we are only just beginning to get our collective heads around - let's hope we can work it out before social credit ratings', based on all these factors, become the norm. Earth Overshoot Day marks the date when we (all of humanity) have used more from nature than our planet can renew in the entire year. We are using 1.7 Earths. We use more ecological resources and services than nature can regenerate through overfishing, overharvesting forests, and emitting more carbon dioxide into the atmosphere than ecosystems can absorb. Earth Overshoot Day marks the date when humanitys demand for ecological resources and services in a given year exceeds what Earth can regenerate in that year. We maintain this deficit by liquidating stocks of ecological resources and accumulating waste, primarily carbon dioxide in the atmosphere. Earth Overshoot Day is hosted and calculated by Global Footprint Network, an international think tank that coordinates research, develops methodological standards and provides decision-makers with a menu of tools to help the human economy operate within Earths ecological limits. Just as a bank statement tracks income against expenditures, Global Footprint Network measures a populations demand for and ecosystems supply of resources and services. These calculations then serve as the foundation for calculating Earth Overshoot Day. On the supply side, a city, state, or nations biocapacity represents its biologically productive land and sea area, including forest lands, grazing lands, cropland, fishing grounds, and built-up land. On the demand side, the Ecological Footprint measures a populations demand for plant-based food and fiber products, livestock and fish products, timber and other forest products, space for urban infrastructure, and forest to absorb its carbon dioxide emissions from fossil fuels. Both measures are expressed in global hectares  globally comparable, standardized hectares with world average productivity. A hectare is equivalent to 10,000 square meters or 2.47 acres. Each city, state or nations Ecological Footprint can be compared to its biocapacity. If a populations demand for ecological assets exceeds the supply, that region runs an ecological deficit. 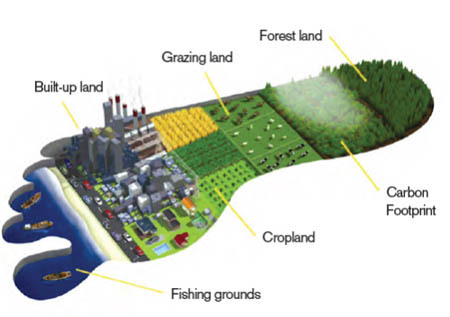 A region in ecological deficit meets demand by importing, liquidating its own ecological assets (such as overfishing), and/or emitting carbon dioxide into the atmosphere. At the global level, ecological deficit and overshoot are the same, since there is no net import of resources to the planet. The concept of Earth Overshoot Day was first conceived by Andrew Simms of the UK think tank New Economics Foundation, which partnered with Global Footprint Network in 2006 to launch the first global Earth Overshoot Day campaign. At that time, Earth Overshoot Day fell in October. WWF, the worlds largest conservation organization, has participated in Earth Overshoot Day since 2007. Do we rise above global challenges? Or do we succumb to them? The Future Now Show explores how we can shape our future now - where near-future impact counts. We showcase strategies and solutions that create futures that work. Every month we roam through current events, discoveries, and challenges - sparking discussion about the connection between today and the futures we're making - and what we need, from strategy to vision - to make the best ones. Do Banks have a Future? This is Prof. Jürgen Gall (right) and Yazan Abu Farha from the Institute of Computer Science at the University of Bonn. 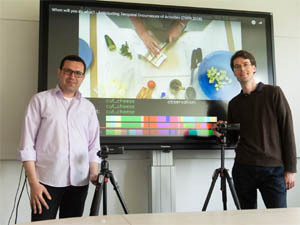 Computer scientists from the University of Bonn have developed software that can look a few minutes into the future: The program first learns the typical sequence of actions, such as cooking, from video sequences. Based on this knowledge, it can then accurately predict in new situations what the chef will do at which point in time. Researchers will present their findings at the world's largest Conference on Computer Vision and Pattern Recognition, which will be held June 19-21 in Salt Lake City, USA. The perfect butler, as every fan of British social drama knows, has a special ability: He senses his employer's wishes before they have even been uttered. The working group of Prof. Dr. Jürgen Gall wants to teach computers something similar: "We want to predict the timing and duration of activities - minutes or even hours before they happen", he explains. A kitchen robot, for example, could then pass the ingredients as soon as they are needed, pre-heat the oven in time - and in the meantime warn the chef if he is about to forget a preparation step. The automatic vacuum cleaner meanwhile knows that it has no business in the kitchen at that time, and instead takes care of the living room. We humans are very good at anticipating the actions of others. For computers however, this discipline is still in its infancy. The researchers at the Institute of Computer Science at the University of Bonn are now able to announce a first success: They have developed self-learning software that can estimate the timing and duration of future activities with astonishing accuracy for periods of several minutes. The training data used by the scientists included 40 videos in which performers prepare different salads. Each of the recordings was around 6 minutes long and contained an average of 20 different actions. The videos also contained precise details of what time the action started and how long it took. The computer "watched" these salad videos totaling around four hours. This way, the algorithm learned which actions typically follow each other during this task and how long they last. This is by no means trivial: After all, every chef has his own approach. Additionally, the sequence may vary depending on the recipe. "Then we tested how successful the learning process was", explains Gall. "For this we confronted the software with videos that it had not seen before." At least the new short films fit into the context: They also showed the preparation of a salad. For the test, the computer was told what is shown in the first 20 or 30 percent of one of the new videos. On this basis it then had to predict what would happen during the rest of the film. That worked amazingly well. Gall: "Accuracy was over 40 percent for short forecast periods, but then dropped the more the algorithm had to look into the future." For activities that were more than three minutes in the future, the computer was still right in 15 percent of cases. However, the prognosis was only considered correct if both the activity and its timing were correctly predicted. Gall and his colleagues want the study to be understood only as a first step into the new field of activity prediction. Especially since the algorithm performs noticeably worse if it has to recognize on its own what happens in the first part of the video, instead of being told. Because this analysis is never 100 percent correct - Gall speaks of "noisy" data. "Our process does work with it", he says. "But unfortunately nowhere near as well." The CGIAR Platform for Big Data in Agriculture is where information becomes power: power to predict, prescribe, and produce more food, more sustainably. It democratizes decades of agricultural data empowering analysts, statisticians, programmers and more to mine information for trends and quirks, and develop rapid, accurate and compelling recommendations for farmers, researchers and policymakers. The Platform aims to positively disrupt agricultural research, helping to generate impactful big data innovations that can revolutionize farming in developing countries. It will provide global leadership in organizing open data, convening partners to develop innovative ideas, and demonstrating the power of big data analytics through inspiring projects. It will also help ensure that the data revolution is deep, diffuse and democratic, reaching the most vulnerable farmers. As the largest network of agricultural research organizations in the world, CGIAR is uniquely positioned to be a thought leader and global convener on the use of big data and information technology in agriculture. The Mindfire Foundation is a Swiss non-profit which is focused on understanding the foundational principles which make up human intelligence, and applying those principles to the development of artificially intelligent organisms. Mindfire aims to achieve this through the implementation of a series of Missions. Each mission gathers the top minds across various fields of science, to collaborate and brainstorm solutions to a structured series of challenges. The first of which is the creation of an artificial organism. Participants of Mindfire missions are credited with their contributions through a blockchain based format (patent filed & pending), designed specifically to track and attribute intellectual property. The overall discoveries which take place during Mindfire Missions, will remain independent of any corporate ownership and serve for the betterment of all of society. 1. What is Collective Intelligence? 2. Why is there an interest in Collective Intelligence now? 3. Whats the difference between the Wisdom of Crowds, Collective Intelligence and Crowdsourcing? 4. Can a normal survey gather Collective Intelligence? 5. How are organisations using Collective Intelligence? 6. What are some of the challenges that organisations face in implementing Collective Intelligence systems and tools? A new field of collective intelligence has emerged in recent years, supported by a wave of new digital technologies that make it possible for organizations and societies to think at large scale. But why do smart technologies not always automatically lead to smart results? 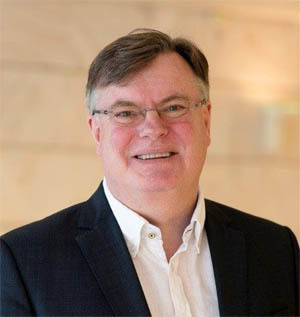 Chief Executive of Nesta Geoff Mulgan shows how this intelligence has to be carefully organized and orchestrated in order to fully harness and direct its powers. An eye-opening, mind-bending exploration of how mankind is reshaping its genetic future, based on the viral TED Talk series Will Our Kids Be a Different Species? and The Next Species of Human. Are you willing to engineer the DNA of your unborn children and grand-children to be healthier? Better looking? More intelligent? Why are rates of autism, asthma, and allergies exploding at an unprecedented pace? Why are humans living longer and having far fewer kids? Futurist Juan Enriquez and scientist Steve Gullans conduct a sweeping tour of how humans are changing the course of evolution for all species - sometimes intentionally, sometimes not.  What if life forms are limited only by the bounds of our imagination? Are designer babies and pets, de-extinction, even entirely newspecies fair game?  As humans, animals, and plants become ever more resistant to disease and aging, what will become the leading causes of death?  Man-machine interfaces may allow humans to live much longer. What will happen when we transfer parts of our selves into clones, into stored cells and machines? Though these harbingers of change are deeply unsettling, the authors argue we are also in an epoch of tremendous opportunity. Future humans, perhaps a more diverse, resilient, gentler, and intelligent species, may become better caretakers of the planet - but only if we make the right choices now. Intelligent, provocative, and optimistic, Evolving Ourselves is the ultimate guide to the next phase of life on Earth. Chosen by Nature magazine as a Fall 2016 season highlight. How can an artificial material instruct neurons and influence their behavior? 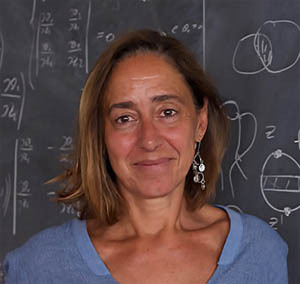 This is the main interest of Laura Ballerini's group, which is experimenting with new materials such as carbon nanotubes and using them as a substrate for growing neurons. Ballerini's lab has shown that carbon nanotubes can make neuronal networks more efficient, a discovery which could have important applications for neuroprosthesis and for the treatment of spinal cord lesions. The results demonstrate that, depending on how the interface with [single-layer graphene] is engineered, the material may tune neuronal activities by altering the ion mobility, in particular potassium, at the cell/substrate interface, said Laura Ballerini, a researcher in neurons and nanomaterials at SISSA. Jeremy has been in the energy business for more than 35 years. 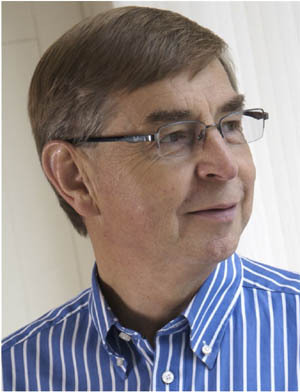 After graduating with a physics degree from Oxford University, he joined Shell in 1980. He also holds a Masters degree in management from MIT, where he was a Sloan Fellow from 1990 to 1991. 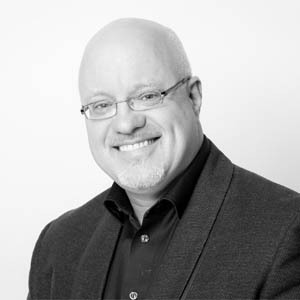 Jeremy joined the leadership team of Shell Global Solutions in 1999, with specific responsibility for commercial and strategic developments including new business. He was subsequently appointed as chief executive of Shell Hydrogen. Since January 2006 he has been responsible for Shells Global Business Environment team, which is best known for developing forward-looking scenarios to support strategic thinking and direction-setting. Your comments, ideas, articles are welcome! Copyright © 2002-2018, Club of Amsterdam. All rights reserved.